Please join us for what promises to be an interesting set of conversations! Dr. Yasha Rodriguez will present her work in Cultural Resources Management in both Puerto Rico and Florida. As a lawyer and a professional archaeologist, Dr. Rodriguez has studied and worked to preserve a variety of historic sites, including the ancient ball courts and social spaces of native Caribbean peoples known as bateyes. Dr. Rodriguez has a Ph.D. in Archaeology and Historic Preservation from Cornell University and a J.D. from the University of Puerto Rico. She worked for several years in the Puerto Rico State Historic Preservation Office (SHPO) and is currently Supervisor of the Historic Preservation Grants Program for the Division of Historical Resources in Florida Department of State. Dr. Brent Fortenberry is an architectural historian and preservationist with research interests in the vernacular architecture of North America and the Caribbean. He is an expert in building recording techniques, including both traditional methods and new digital technologies. Dr. Fortenberry has a Ph.D. in Archaeology from Boston University and a Master’s of Science in Historic Preservation from Clemson University. He is an Adjunct Professor in Clemson’s Graduate Program in Historic Preservation in the School of Architecture as well as Associate Director of the Warren Lasch Conservation Center in the Clemson University’s Restoration Institute in Charleston, South Carolina. Dr. Gabrielle Harlan is an architect and architectural historian with more than ten years of professional experience in historic preservation in the American West. Dr. Harlan’s research interests include the use of Native American building types by Anglo architects in the stylistic revivals of the early nineteenth century and the work of Judith Chafee and other women architects in the western U.S.
Dr. Harlan, who is currently a lecturer in the Architecture Department at University of Oregon, has a Ph.D. in the History of Art and Architecture and a Master’s in Architecture from the University of Virginia. She was previously a Principal Associate at Chattel, Inc. in southern California and a historical architect at Yosemite National Park. In addition to our very own Annual Conference (remember, Victoria, B.C., June 16-18), there are a number of interesting events coming up in March and April. Historic Seattle offers great programs throughout the year. Of particular note are two lectures in March and April. On Saturday, March 25, Stephen Gee will present a lecture on Iconic Vision: John Parkinson, Architect of Seattle and Los Angeles. On Saturday, April 29, Matthew Williams, the curator of Cardiff Castle in Wales will present TWO lectures in one afternoon. Exploring British 19th Century Architecture and Interior Design will be followed by Ghastly Good Taste: A Century of British Interior Design 1880-1980. The Stephen Gee and Matthew Williams lectures will both take place at The Chapel Space, Good Shepherd Center, 4649 Sunnyside Avenue North. The cost is $25.00 for members of Historic Seattle and $35.00 for the general public. In April PBS will begin broadcasting a new series, 10 That Changed America, focusing on the nation’s best houses, parks, and towns. The University of Washington’s College of Built Environments will offer a sneak peak of part two, 10 Parks That Changed America, along with a panel discussion on Wednesday, March 30, 2016 at UW’s Architecture Hall 147, beginning with a reception at 6:00 pm. The event is free and open to the public, but attendants are requested to RSVP by March 23 by clicking here. Since Seattle’s Gas Works Parks is prominently featured in the program, it is most appropriate that the headliner of the panel is Rich Haag, designer of the park and UWLA Professor Emeritus. Other speakers will include Rachel Gleeson, of Michael Van Valkenburgh Associates; Geoffrey Baer, host of the series; and series producer Dan Protess. Those that can’t make it to the panel discussion will be able to see the program itself on April 12th on OPB as well as KCTS, check your local listings and don’t forget about 10 Homes that Changed America on April 5th and 10 Towns that Changed America on April 19th. With the advent of the Fall school term, lecture series are once again starting up. The University of Washington’s upcoming lectures will be held on October 21, 28 and on November 4, all Wednesdays, at 6:00 PM in Architecture Hall 147 at the University of Washington and are free and open to the public. Continuing education and IDP credits are available for attendance. For more details on lectures and events at UW, go to http://arch.be.washington.edu/. Vincent James, FAIA, practiced independently and with firms in Minneapolis and New York before founding VJAA in 1995. Vincent was appointed Adjunct Professor at Harvard University’s Graduate School of Design, where he taught from 2000-2006. He was the Favrot Visiting Chair in Architecture at Tulane University in 1998 and 1999 and was recently the John G. Williams Distinguished Professor at the University of Arkansas, the Morgenstern Chair and Visiting Professor at IIT and a visiting professor at MIT. Vincent James is currently Cass Gilbert Professor in Practice at the University of Minnesota School of Architecture. He received his Master of Architecture from the University of Wisconsin. Maurya is a multi-faceted building designer, bridging the domains of structural, mechanical and façade engineer on 4 continents. After 15 years with Arup, in 2009 Maurya started her own business providing façade design/engineering and related sustainability consulting to Architects, designers and related industry professionals. Through her years of project experience Maurya has fine-tuned a ‘Holistic-Façade Design and Integrated, Low-energy Building Design’ methodology, using performance simulation to influence early design decision and gained extensive experience in the nuances of its application on a variety of building types. Sponsored by the College of the Built Environment in collaboration with the Henry Art Gallery. Keller Easterling is an architect and writer. Her most recent book, Extrastatecraft: The Power of Infrastructure Space (Verso, 2014), examines global infrastructure networks as a medium of polity. Another recent book, Subtraction (Sternberg Press, 2014), considers building removal or how to put the development machine into reverse. An ebook essay, The Action is the Form (Strelka Press, 2012) previews some of the arguments in Extrastatecraft. Other books include: Enduring Innocence: Global Architecture and its Political Masquerades (MIT, 2005), which researched familiar spatial products in difficult or hyperbolic political situations around the world, and Organization Space: Landscapes, Highways and Houses in America (MIT, 1999), which applied network theory to a discussion of American infrastructure. Ms. Easterling is also the co-author (with Richard Prelinger) of Call it Home: The House that Private Enterprise Built, a laserdisc/DVD history of US suburbia from 1934-1960. She has published web installations including: “Extrastatecraft”, “Wildcards: a Game of Orgman”, and “Highline: Plotting NYC”. Ms. Easterling’s research and writing was included in the 2014 Venice Biennale, and she has been exhibited at Storefront for Art and Architecture in New York, the Rotterdam Biennale, and the Architectural League in New York. Ms. Easterling has lectured and published widely in the United States and abroad. Ms. Easterling taught at Columbia before coming to Yale. Luis Hoyos is an architect and Professor of Architecture at the California State Polytechnic University in Pomona, where he teaches historic preservation and urban design. He serves on the Board of the National Trust for Historic Preservation and as a member of the Landmarks Committee of the National Park System Advisory Board. He is national co-chair for the NPS American Latino Scholars Experts Panel, and co-editor of American Latinos and the Making of the United States: A Theme Study (2013). He was member and chair of the California State Historical Resources Commission from 2002-2006 and a member of the Board of Directors and Chair of Preservation Advocacy at the Los Angeles Conservancy. 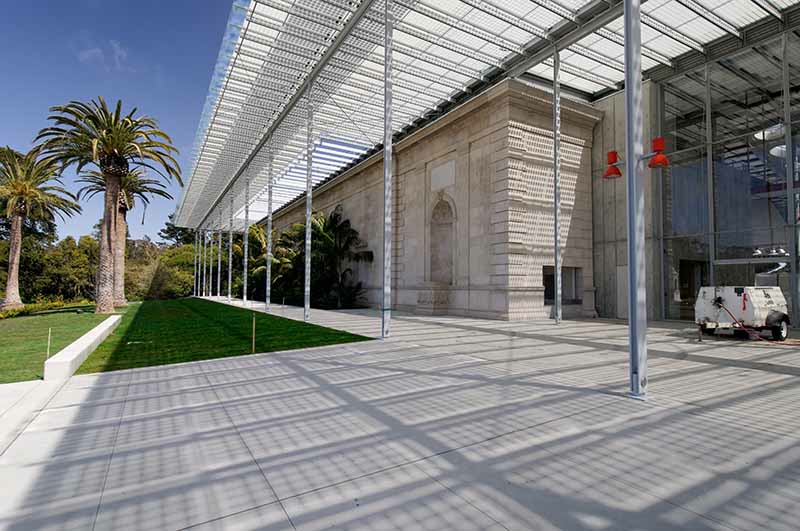 As an architect he has received awards for the design of several historic building rehabilitations, including El Pueblo de Los Angeles, the Point Fermin Lighthouse, the Palmer Hotel and the Cabrillo Beach Bathhouse. For more information go to https://architecture.uoregon.edu/. 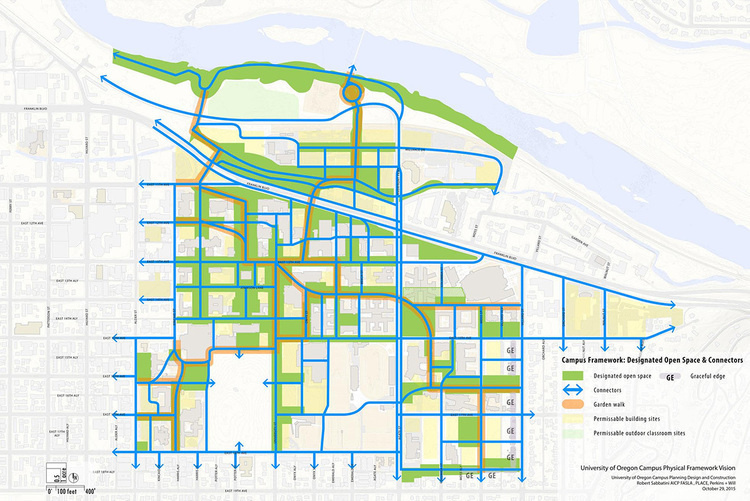 Building upon the traditions, policies, and patterns developed in the Oregon Experiment and embodied in the UO Campus Plan, the University of Oregon engaged nationally renowned campus planners, landscape architects, and architects to develop the UO Campus Physical Framework Vision. The project supplements and brings greater specificity to the Campus Plan by creating a comprehensive framework vision for the campus landscape, open spaces, and future building areas and uses. Using the existing landscape armature as a foundation, the project explores potential space needs and how future improvements can enhance the character of the campus landscape. Project consultants will describe how the project provides tools that better inform decision-making while preserving the campus’ beauty and functionality. In Los Angeles, a city with an extraordinary collection of 20th-century architecture and a globally important contemporary art scene, the office of Frank Escher and Ravi GuneWardena occupies a unique position. Since 1997, they have routinely worked with artists including Olafur Eliasson, Mike Kelley, Sharon Lockhart, and Stephen Prina, as well as with the restoration of significant buildings including John Lautner’s Chemosphere and, later, the Eames House in collaboration with the Getty Conservation Institute. Frank Escher studied at the Swiss Federal Institute of Technology in Zurich. He is the editor of the first John Lautner monograph, was formerly the administrator of the John Lautner Archive, and serves on the boards of the both the John Lautner Foundation and Julius Shulman Institute. Ravi GuneWardena studied architecture as well as art history at California State Polytechnic University, Pomona, and in Florence, Italy. He has served on the Art Advisory Panel for the Hollywood Community Redevelopment Agency. Both have taught and lectured at various schools in the United States and Europe. 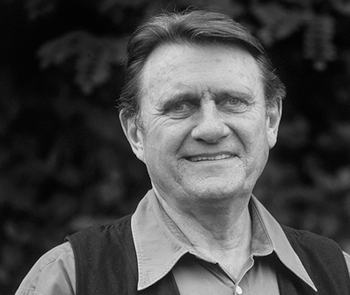 The University of Washington College of Built Environments will add Roland Terry and Grant Jones to its Roll of Honor in a celebration at UWs Architecture Hall on April 29th, 2015, at 6:00 pm. The Roll of Honor was created in 1986, enabling the College to formally recognize extraordinary practitioners in the fields of architecture, construction management, landscape architecture, real estate and urban planning and design. The “Roll” was established then when the building underwent a remodeling; at that time eight names were listed. Additional names were added in the late 1990s, in 2002 and in 2008 for a total of fifteen. Previous inductees include: Elizabeth Ayer, Fred Bassetti, Carl Gould, Lancelot Gowen, Richard Haag, Norman Johnston, Paul Kirk, Wendell Lovett, Lionel Pries, B. Marcus Priteca, Robert Reamer, Victor Steinbrueck, Ellsworth Storey, Paul Thiry and Myer Wolfe. If you missed Thaisa Way’s presentation on Richard Haag at our annual conference, here’s your chance to catch up with a book launch at Peter Miller Books, 2326 Second Avenue in Seattle, on May 1st from 6:00-8:00 pm. Richard Haag will be present to sign copies of the book and will also give a short talk midway through the evening. The celebration of the UW Department of Architecture’s Centennial continues with a lecture by Jeffrey Karl Ochsner titled Back to the Future. The lecture will take place on May 6th, at 6:00 pm, in Architecture Hall 147. 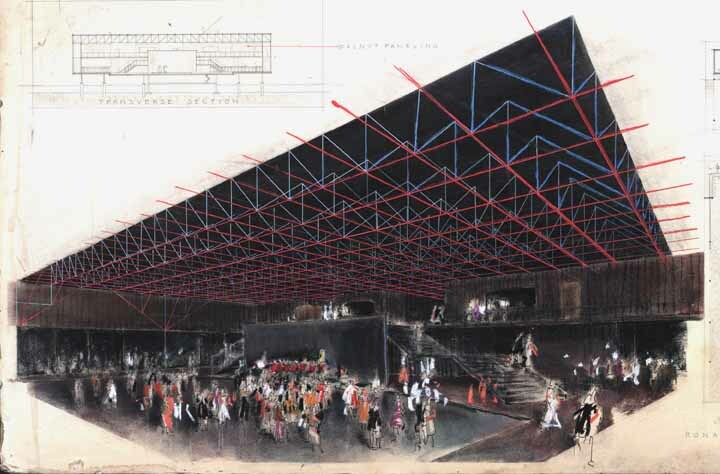 Jeffrey Karl Ochsner FAIA is a Professor in the Department of Architecture at the University of Washington, where he has taught since 1988 in the areas of architectural design, urban design, historic preservation, and architectural history. He served as Chair of the Department of Architecture from 1996 to 2002. He holds adjunct positions in the Departments of Landscape Architecture and Urban Design & Planning. He began serving as Associate Dean for Academic Affairs for the College of Built Environments in July 2007. Professor Ochsner is author of H. H. Richardson: Complete Architectural Works (1982), editor and co-author of Shaping Seattle Architecture: A Historical Guide to the Architects (First Edition, 1994; Second Edition, 2014), co-author of Distant Corner: Seattle Architects and the Legacy of H. H. Richardson (2003), and author of Lionel H. Pries, Architect-Artist-Educator: From Arts & Crafts to Modern Architecture (2007), and Furniture Studio: Materials, Craft, and Architecture (2012). The Publishers Association of the West awarded Lionel H. Pries, Architect-Artist-Educator two medals for design; the book was a finalist for the 2008 Washington State Book Award in History/Biography. Professor Ochsner has published in the Journal of the Society of Architectural Historians, JAE: Journal of Architectural Education, Pacific Northwest Quarterly, ARCADE and other journals. At the 2014 Annual Conference of the SAH/MDR he presented The Emergence of Northwest Regional Modernism: 1930s-1950s. 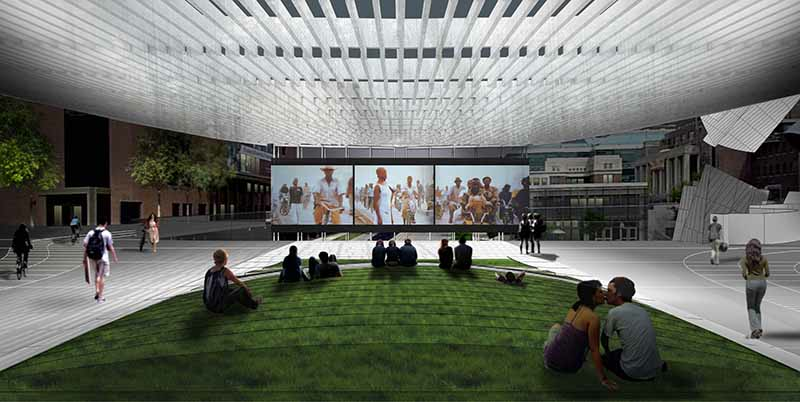 Seattle’s Miller Hull Partners will present On the Ground on May 20th at 6:00pm in Architecture Hall 147. The Miller Hull Partnership’s design reputation is based on simple, innovative and authentic designs. Since its inception in 1977 the firm has pursued a rigorous logic in its design approach in the belief that architectural programs are best solved directly and efficiently. Throughout the firm’s history Miller Hull has received over 200 design awards and has been published in numerous national and foreign design journals. Miller Hull’s design philosophy centers around two essential architectural ideas. One is to use a building’s structure to create a significant place within a site, and the other is to be sensitive to climate and to respond to environmental demands with the form of the building. These ideas evolve from an appreciation of the extraordinary beauty of the natural environment and have allowed Miller Hull’s projects to have an unusually clear fit to their surrounding context. Founding partners David Miller and Robert Hull, both raised in Washington State, have explored the development of two dominant themes in America’s western regional architecture: the need to establish a defined place within the landscape and the art of rational building. Their attitude toward building in the landscape takes advantage of a mutual inflection in which architecture and landscape seem to need each other for completion. In their residential architecture they attempt to capture the spirit and vitality of the West by focusing on the tensions between nature and materiality; detail and structure. The UW Architecture Department’s Lecture Series generally takes place at 6:00 pm in Architecture Hall 147 and are free and open to the public. Continuing education and IDP credits are available for attendance. For more information on future lectures see http://arch.be.washington.edu/. On April 15, Sheine and Anthony Belluschi will be joined by Randy Gragg, executive director of the Yeon Center in Portland, for a panel discussion at Central Lutheran Church, 1857 Potter Street in Eugene, beginning at 5:30 p.m. These conversations are free and open to the public. Portland-based architect Pietro Belluschi was one of the leading proponents of Modernist architecture in the Pacific Northwest. Join his son, architect Anthony Belluschi, and Judith Sheine, head of the Department of Architecture at the University of Oregon, for an evening of conversation about Belluschi and his legacy. The discussions are being held in conjunction with the JSMA exhibition The Architecture and Legacy of Pietro Belluschi, which was designed by Anthony Belluschi and his wife, Marti Mull Belluschi. The exhibition features models built by UO students of several Belluschi buildings in Oregon. The exhibit will run from February 7 through April 26. It is based on a similar show that premiered at the Oregon Historical Society in Portland in 2012. 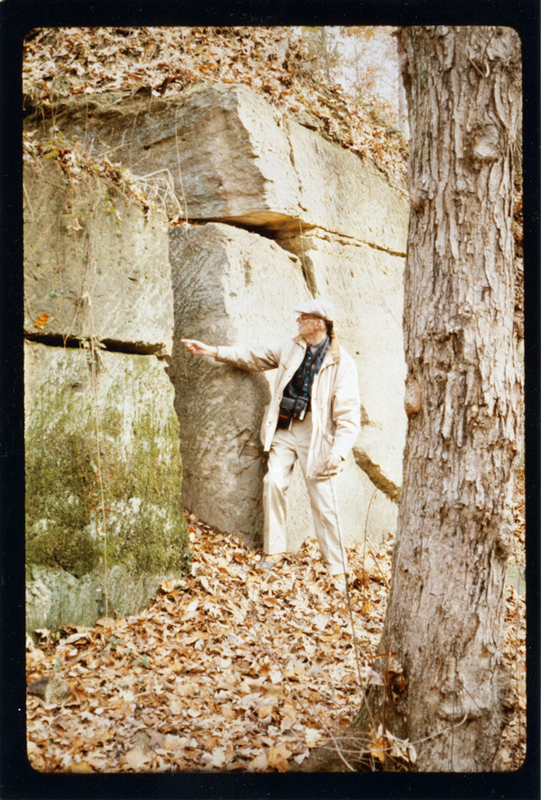 Lee Nelson in 1992 at Aquia Quarry, where sandstone used on the White House and the original section of the U.S. Capitol was quarried. Photograph by Chad Fisher; courtesy UO Libraries Special Collections. On Wednesday, February 26, at 6:30 pm at the University of Oregon’s Knight Library Paulson Reading Room, Emily Vance will present Building a Legacy: The Lee Nelson Collection. Ms. Vance, a Historic Preservation Program graduate student, recently completed an internship devoted to creating an annotated bibliography of the Lee Nelson papers which are housed in the UO Libraries Special Collections and University Archives. The internship was sponsored by the Historic Preservation Education Foundation (HPEF), a nonprofit educational organization dedicated to enhancing public awareness and understanding of historic buildings and sites and to encouraging their preservation. 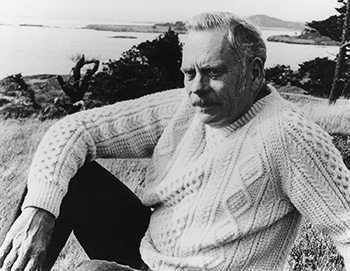 The educational mission of HPEF is very much in the spirit of Lee Nelson, who not only served as chief of the National Park Service’s (NPS) Technical Preservation services branch, but also was a cofounder of the Association for Preservation Technology. The 26 boxes of papers donated to the U of O, Nelson’s undergraduate alma mater, reveal the depth and breadth of his accomplishments and interests. Though he is perhaps best known for his restoration work on Independence Hall in Philadelphia, Nelson maintained strong ties to Oregon, publishing several studies on the state’s covered bridges. In the 1970s, Nelson waded into international waters, participating in the US Historic Preservation Team of the US-USSR Joint Working Group on the Enhancement of the Urban Environment. His visits to the Soviet Union as part of this endeavor formed the basis for his presentation, Historic Preservation in the Soviet Union, delivered at the 1976 annual meeting and conference of the SAH/MDR.